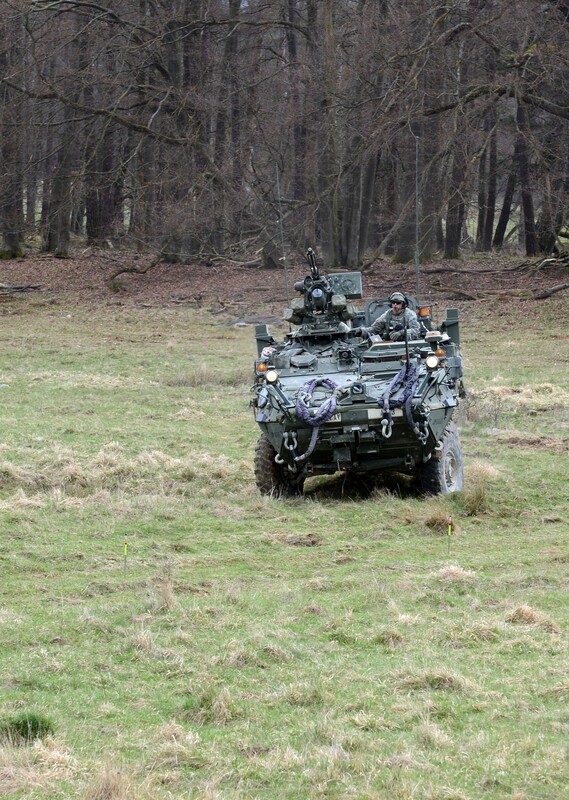 HOHENFELS, Germany -- With 14 NATO countries by its side, the U.S. Army's 2nd Cavalry Regiment recently kicked off Saber Junction 15 here at the Joint Multinational Readiness Center, Hohenfels, Germany. 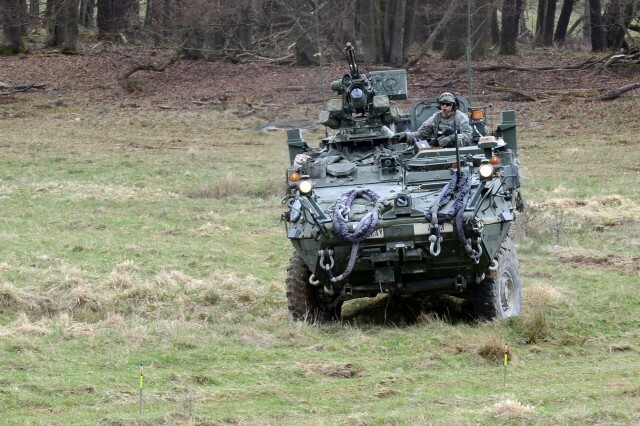 It's yet another step toward greater interoperability in Europe for the United States' longest serving regiment. 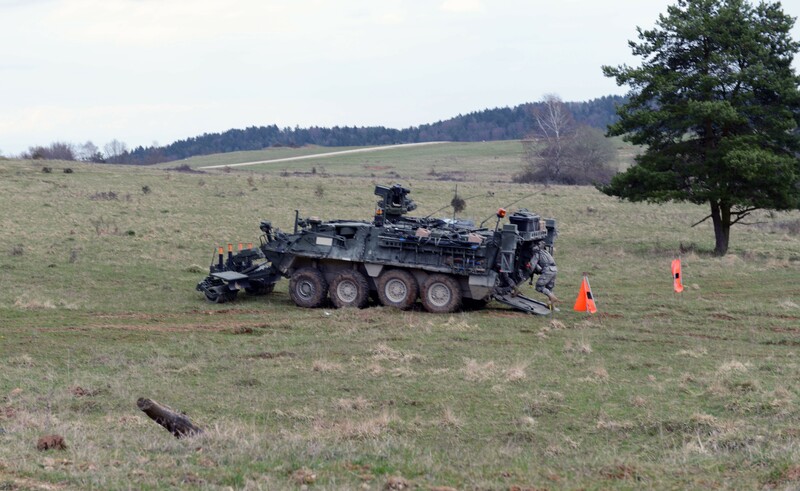 "Our training opportunity at Saber Junction demonstrates the strength of the alliance," said U.S. Army Col. John V. Meyer III, 78th Colonel of the Regiment. "This is not a U.S.-only training exercise." 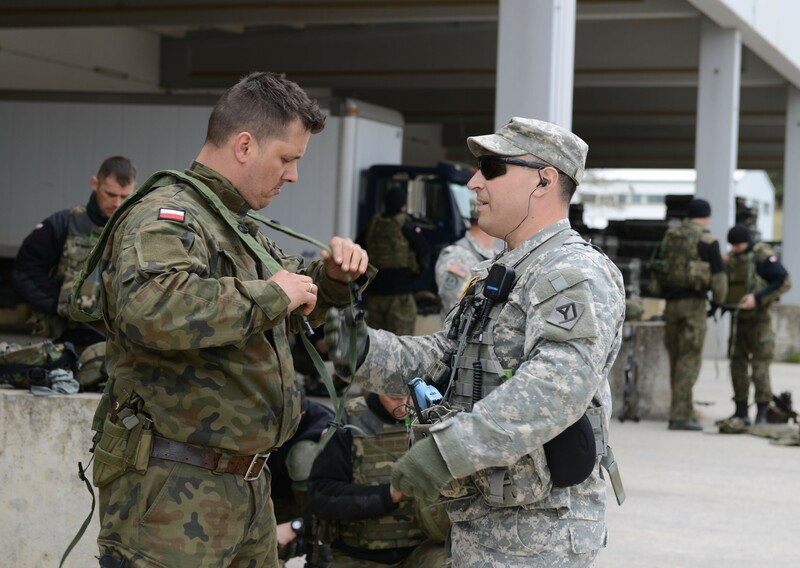 In total, about 4,700 military members from 17 NATO and partner-nation countries are working together during Saber Junction 15. 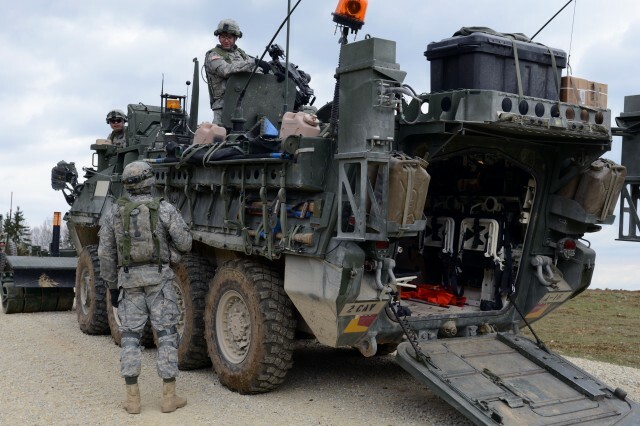 Fourteen of those countries are serving alongside the regiment, while the others are joining with the U.S. Army's 1st Battalion, 4th Infantry Regiment as opposing forces during force-on-force exercises next week. 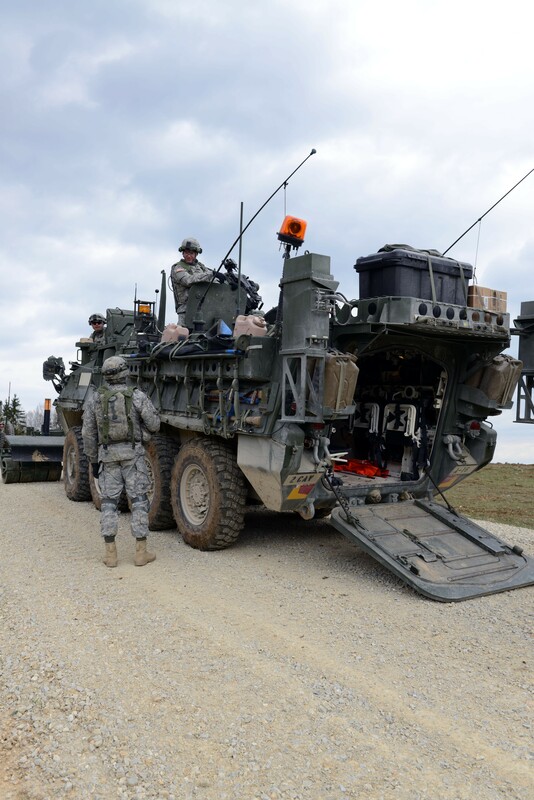 "The regiment's mission at Saber Junction is to increase our readiness as a regiment in the United States Army to deploy, fight and win," Meyer said. "And we're doing this as part of 'Strong Europe,' so we have three missions inside of the campaign plan: No. 1 is to assure our allies, No. 2 is to deter adversaries, and No. 3 is to enable the alliance." Two key pieces of those missions, Meyer says, are increasing readiness and creating relationships within the alliance. This comes through developing the regiment's leaders, working on the mission command operating systems, and building trust and confidence throughout the NATO force. 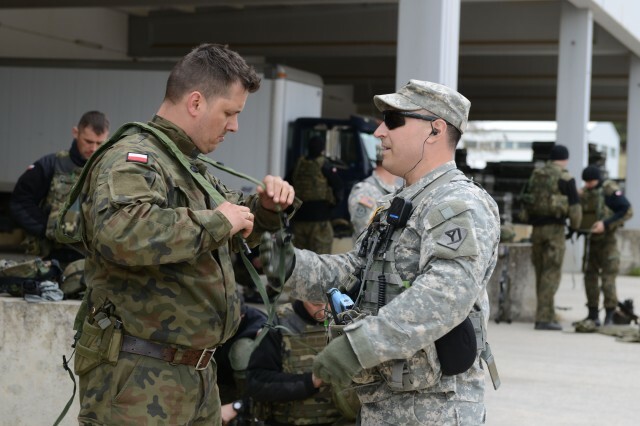 The exercise began with a deployment readiness exercise and airborne operations into Romania before transitioning to JMRC, where U.S. Soldiers and allies are conducting situational training exercises together in preparation for next week's decisive action training exercise, or DATE. 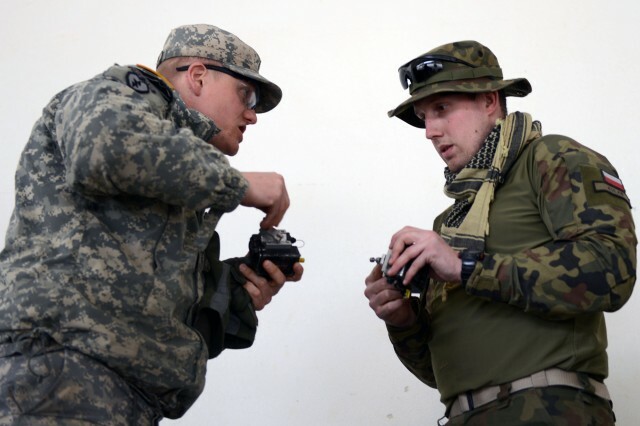 "I think coming to a decisive action training environment is a perfect opportunity for (Soldiers) to really increase their MOS (military occupational specialty) competencies, to get familiar with their equipment, and to really take pride in what they do as combat engineers," said U.S. Army 1st Lt. Sebastian Smoak, 1st platoon leader, Alpha Troop, Regimental Engineer Squadron. The regiment's seven squadrons -- primarily comprised of infantrymen, in addition to engineers, reconnaissance and regimental support -- continue to focus on a variety of other scenarios this week, including clearing routes, quickly establishing base camps and emplacing obstacles. 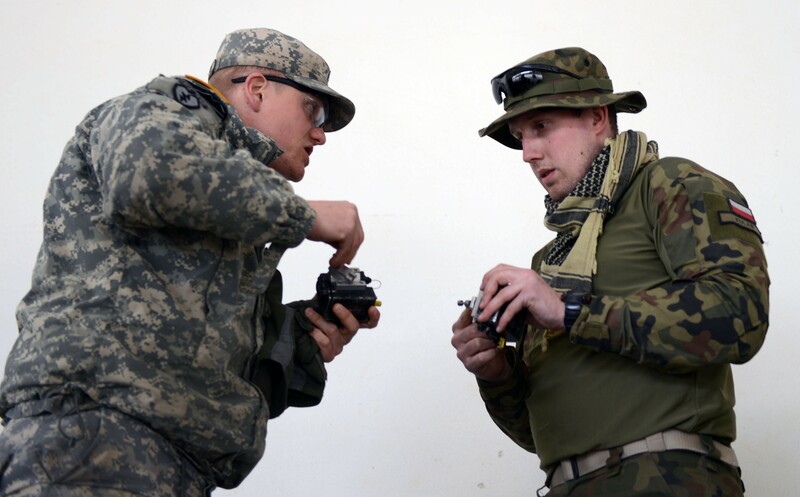 Through it all, the multinational forces work side by side, learning one another's operating tactics and techniques. 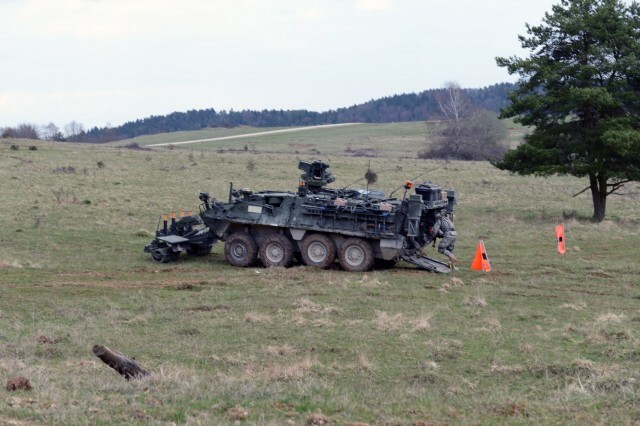 "Our training needs to be focused not only on enhancing the combat power of our unit, but also on a stronger Europe and interoperability," said U.S. Army Maj. Neil Pentilla, 2nd Cavalry Regiment public affairs officer. Later, the exercise will evolve from a scenario-based esercise into a full-scale one incorporating all of the military players. This includes 150 others role playing as civilians on the battlefield in the small villages scattered throughout the 163-square-kilometer training area. "Across the world, it's really fun to see how different nations integrate," said U.S. Air Force Capt. Jack Fine, joint terminal attack controller and air liaison officer. "It allows a greater understanding of where people come from, and it gives a better base to how we do operations."